Capital K Distillery won eight awards at the Canadian Artisan Spirit Competition (CASC). Manitoba’s first and only craft distillery won big at the Canadian Artisan Spirit Competition (CASC) for its gin and dill pickle vodka. 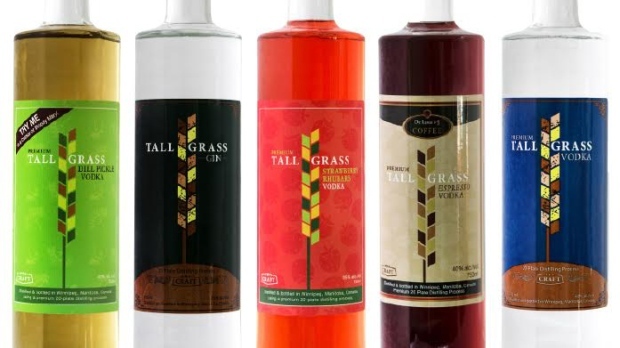 It won best in class in the infused vodka category for its Tall Grass Dill Pickle Vodka and gold in the gin category for Tall Grass Gin. Capital K also won bronze awards for its classic vodka, espresso vodka, rhubarb vodka, oaked rum, wheat grain spirit, and oaked rye. In total, the distillery took home eight medals. The CASC highlights and celebrates the best artisan spirits from across Canada. Participating distilleries must be independent and can only submit original, small scale products that have been distilled or re-distilled by the distillery itself. Spirits were evaluated by seven judges from across Canada, who conducted independent and blind evaluations of the entries.